The rubber-stamp parliament further enhanced Xi Jinping's considerable power on Sunday when it approved a constitutional amendment abolishing presidential term limits. 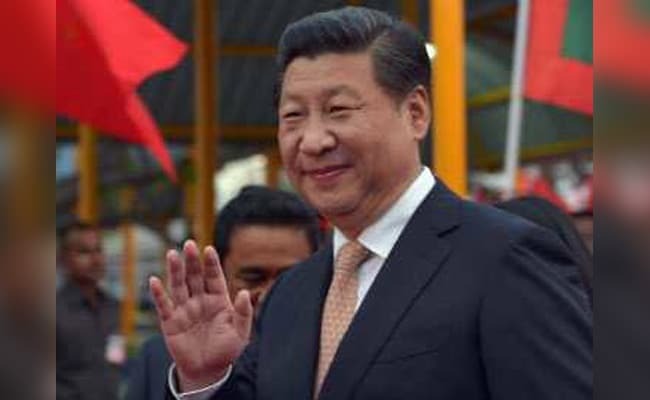 China: Xi Jinping has joined the pantheon of Chinese leadership two decades after bursting onto the scene as a graft-fighting governor who went on to earn comparisons with Mao Zedong in his quest for unrestricted power. The rubber-stamp parliament further enhanced Xi's considerable power on Sunday when it approved a constitutional amendment abolishing presidential term limits. The move allows the 64-year-old Xi to remain in power for as long as he wishes, ruling as a virtual emperor, and is the latest feather in the cap of a Communist "princeling" who is re-making China in his own image. Xi, who was given a second term as the party's general secretary at the five-yearly party congress in October, has amassed seemingly unchecked power and a level of officially stoked adulation unseen since Communist China's founder Mao. Even though his father Xi Zhongxun -- a renowned revolutionary hero turned vice premier -- was purged by Mao, Xi has remained true to the party that rules with an iron fist and over which he reigns supreme. Xi is the first Chinese leader to have been born after 1949, when Mao's Communist forces took over following a protracted civil war. Following Mao's disastrous economic campaigns and the bloody 1966-76 Cultural Revolution, the Communist leadership sought to prevent further chaos by tempering presidential power through a system in which major personnel and policy decisions were hashed out by the ruling Politburo Standing Committee. But "Xi Dada" ("Big Uncle Xi"), as he has been dubbed by Communist propaganda, has broken sharply with that tradition since taking over as president in 2013 and now looms over the country in a deepening cult of personality. At the time, Xi vowed to root out corruption following a $10 billion smuggling scandal, but ruled out political reform to confront the problem, saying he would work within the one-party structure and system of political consultation and "supervision by the masses". "The people's government must never forget the word the 'people' and we must do everything we can to serve the people, but to get all the government officials to do this is not easy, in some places this is not done very well and in other places it is done very badly," Xi told AFP. Xi's face now graces the front page of every paper in the country, while his exploits and directives headline each night's evening news. Shops sell commemorative plates and memorabilia with his image alongside Mao's and he has accumulated so many political and military titles -- from president, to Central Military Commission chairman and party "core" -- that he has earned the nickname "Chairman of Everything". The Communist Party's power-broking congress in October confirmed Xi's induction into the leadership pantheon alongside Mao and market reformer Deng Xiaoping by writing his name and political ideology into the party's constitution. While calling for China's "great rejuvenation" as a world power, Xi has cultivated a personal image as a man of the people who dresses modestly and buys his own steamed buns at an ordinary shop. Following a divorce from his first wife, Xi married the celebrity soprano Peng Liyuan in 1987, at a time when she was much more famous than him. The couple's daughter, Xi Mingze, studied at Harvard but stays out of the public eye. But Xi has presided over a tough crackdown on civil society and freedom of speech that belies the chummy image -- and he tolerates no ridicule or slander of his person. Social media users who have dared to compare his round mien to that of the affable Winnie the Pooh have found their posts quickly deleted, and a man who referred to him as "Steamed Bun Xi" -- a knock at his breakfast publicity stunt -- was jailed for two years.